The second potential reason is the caliber of the players, but this point is easily quashed. The conference continually brings in highly-touted recruits and transfers, and has had 16 players drafted into the NBA since its reconfiguration in 2013 (not to mention the numerous undrafted players who ended up on NBA rosters). The league might not be a breeding ground for one-and-done level players, but most of its players are talented enough to earn a roster spot on countless other high-major programs. Another reason is the Big East’s pool of coaching talent. While the college basketball landscape is a revolving door when it comes to coaching positions, the Big East has experienced a net outflow in this department. John Thompson III’s success at Georgetown quickly went downhill after 2013; Chris Holtmann left Butler for Ohio State; Chris Mack left Xavier for Louisville, Buzz Williams left Marquette for Virginia Tech. These are quality coaches who left for brand-name schools and bigger salaries, leaving behind massive shoes to fill for fan bases that are used to winning. Unsurprisingly, all of these programs have struggled to achieve the same level of success (although it is too early to conclude on Travis Steele at Xavier). Other small-budget programs experience this all the time and recovery does not come quickly or easily. There may be no particular reason, but the most logical guess is that the Big East’s problem is a mixture of all of the above. Some bad luck with small sample sizes; some untimely departures of high impact players; and numerous unproven head coaches attempting to build programs. But with another season in the books and the results largely unchanged, the frustration continues to mount. The only way to exorcise these demons is by winning in the postseason. 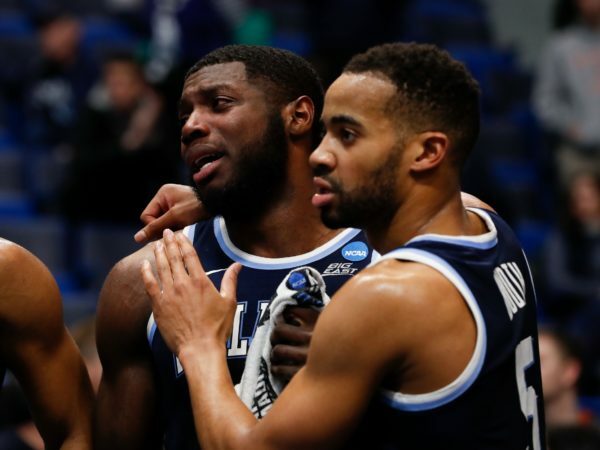 This entry was posted on Tuesday, April 9th, 2019 at 1:05 pm by Justin Kundrat	and is filed under big east, feature, microsites. Tagged: big east review, travis steele, villanova. You can follow any responses to this entry through the RSS 2.0 feed. You can leave a response, or trackback from your own site.